Japanese maples are easily one of the most elegant and stunning specimen plants you can add to your garden. 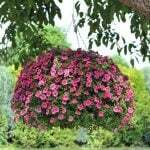 There are varieties that can be grown in containers, and few of them ever reach over 25 feet tall, making them adaptable to any space. The fall colors on Japanese maples is stunning, and because of their smaller size, easier to appreciate in a small garden than a larger tree or shrub. Many varieties even look amazing all winter long with attractive bark and branch formation. 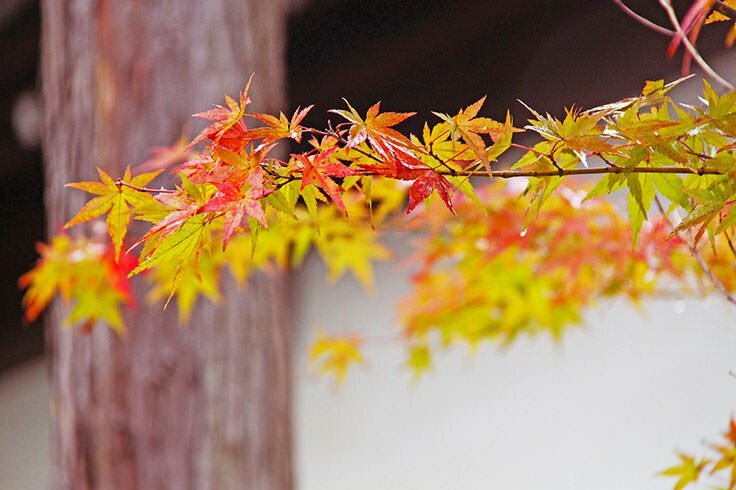 They leaf out early with fresh green leaves, some of which change to reds or oranges as the season progresses. 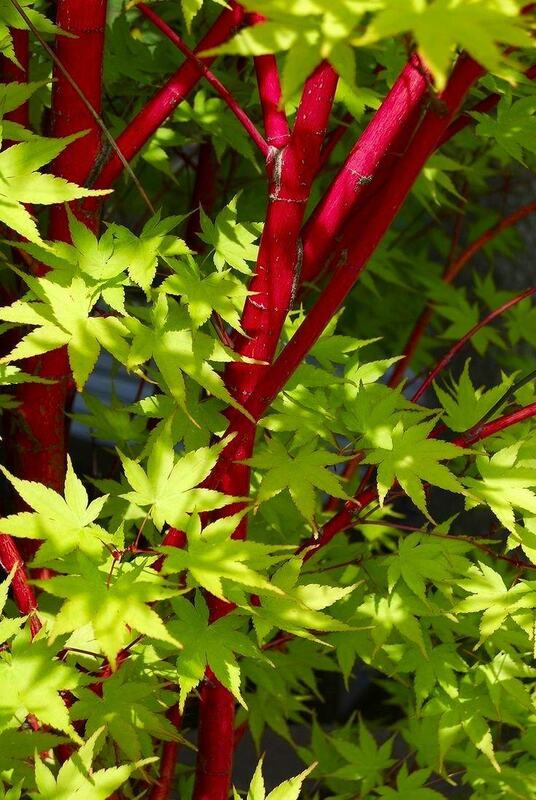 Japanese maples are available in both red and green varieties, and some varieties have reached collector status. 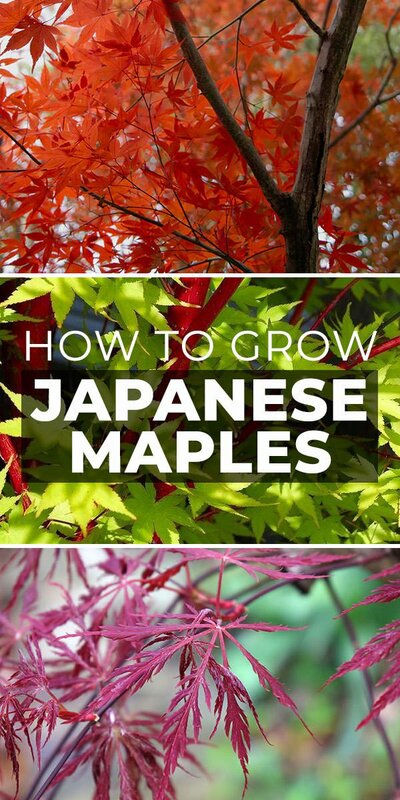 Let’s learn how to grow Japanese maples! 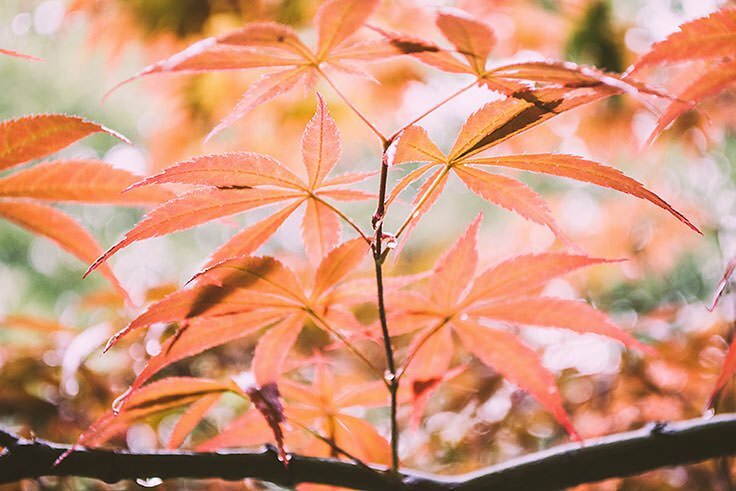 Japanese Maples have a reputation for being difficult to grow, but while they have needs that need to be attended to for best growth and color, they are a tough and adaptable plant. 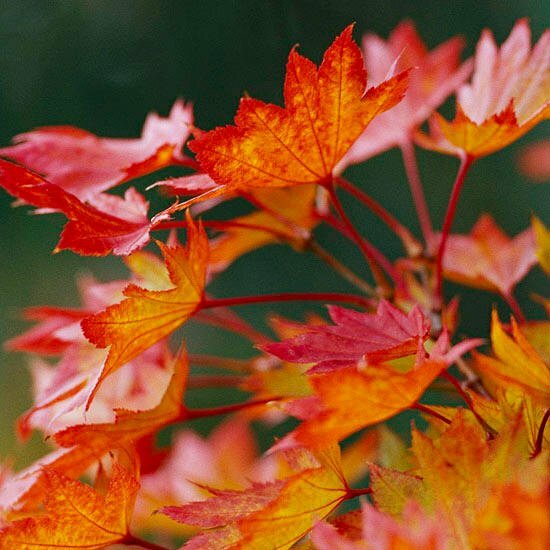 There are more varieties than one could count, from dwarf maples for containers to upright trees worthy of a focal point in your garden. Red, green, gold or a mix of these colors are the most popular. Laceleaf Japanese maples have delicate, lacy leaves that catch the morning light, and usually a cascading form. Palmate leaf maples have larger leaves (like a “palm”) with more color variety, and tolerate wind and heat better. Some varieties can have brightly colored winter bark making them a perfect four season plant for the garden. 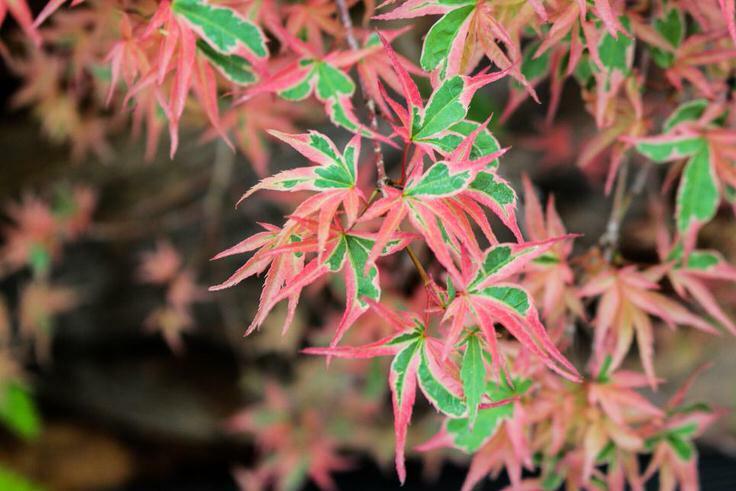 Here are the steps on how to grow Japanese Maples, and our top favorite varieties! Japanese Maples are shade lovers, but they do need some sun in order to get to their best color. It’s best to provide morning sun and afternoon shade, or dappled shade at most. The farther south you are, the more afternoon shade should be provided. 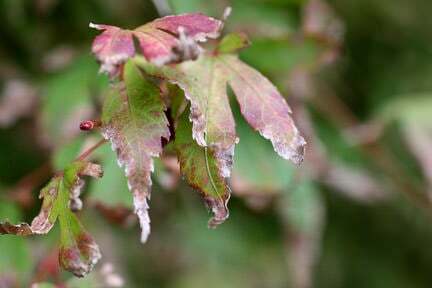 Below is an example of leaf scorch that some maples are prone to with too much afternoon sun. Green leaf maples tend to be a little more tolerant of the sun than red leaf Japanese maples. However, leaf scorch does tend to be less obvious on a red leaf. They are medium feeders, but lots of compost or organic matter should be worked into the planting hole. 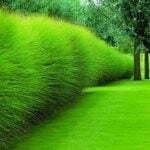 Then do not fertilize again until the second season. One note: Japanese maples do not do well with salt in the soil. 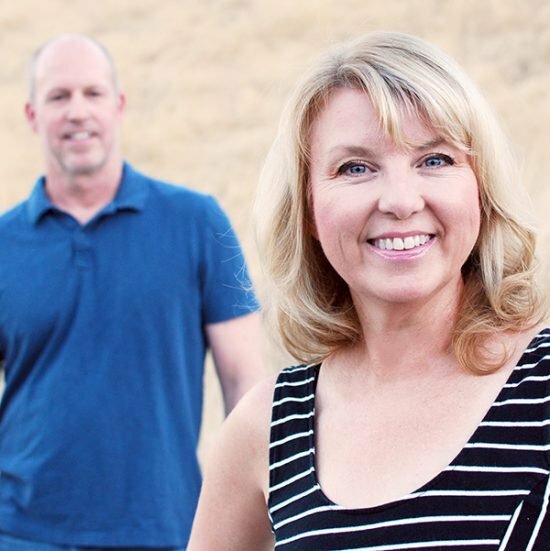 They can handle a wider variety of soil issues, but that is deadly to them. 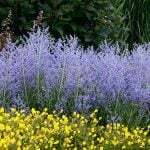 They also require decent drainage, so don’t plant them in the lowest area of a wet garden space. Evenly moist, not soggy and not dry when young. Believe it or not, at maturity Japanese Maples can be somewhat drought resistant. Be careful not to allow them to dry out in the winter months if you live in an area that doesn’t get much rain. Obviously you can’t protect any outdoor plant from all wind, but if you can choose a more protected spot, your maple will appreciate it. Winds can dry out and brown the leaves if they are constant. If you live in a windy area, plant on the leeward side of the house for more protection. Another option is to plant your Japanese maple in a container, and then you can move it into a sheltered area when necessary. 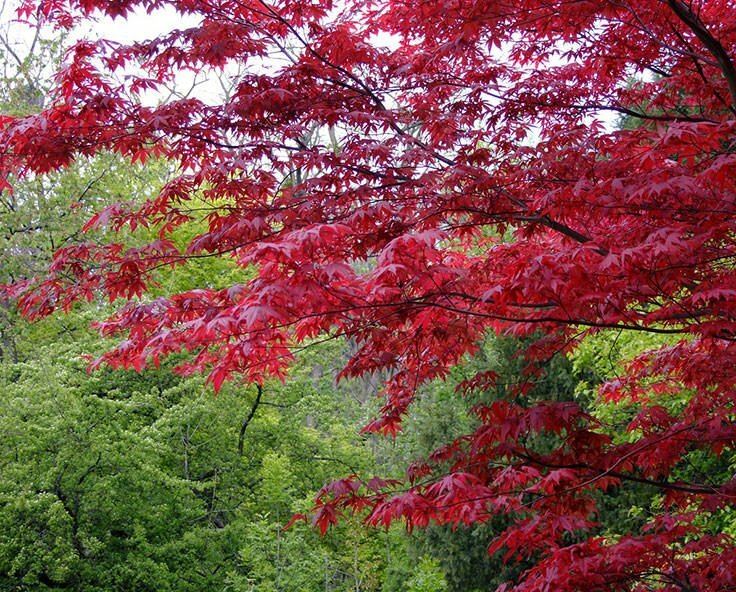 Most Japanese Maples are hardy down to zone 5, but they dislike overly hot environments. However, I grow my Coral Bark Maple in an inland northwest desert, in full afternoon sun. I just keep it well watered every day in well drained soil. However, towards the end of summer I do get some brown curling on the leaves. This is a trade off I’m willing to accept for this gorgeous plant! If you live in an area colder than zone 5, you can try planting a Korean maple. They are similar, but more hardy. One of the best tips on pruning Japanese maples is to do so with restraint. You don’t want to prune too aggressively and ruin the lines of a graceful tree in one afternoon. 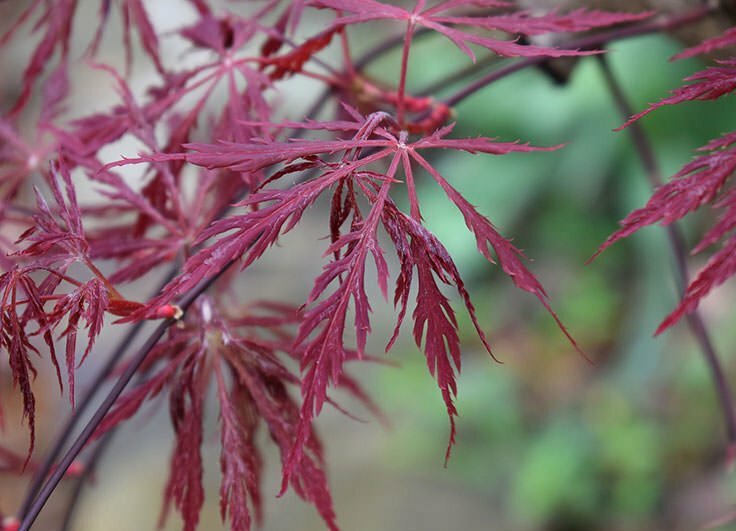 Try this guide on pruning Japanese maples at ‘Fine Gardening‘. 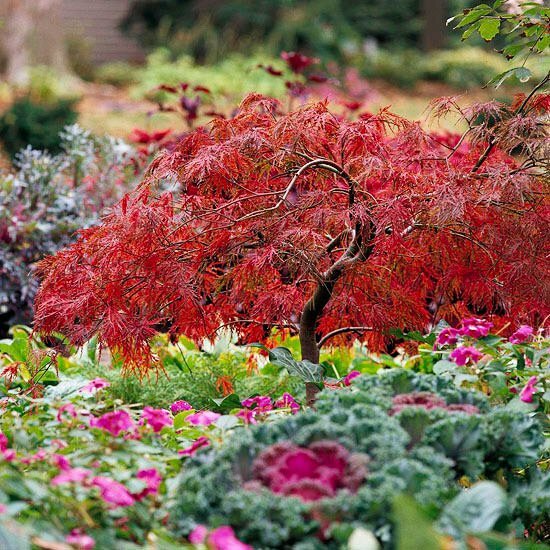 Reduce your watering in the fall for the best color. Japanese Maples grow fairly slowly, so if after a season or two you find the spot you chose isn’t working, you can dig it up and move it, they are pretty tough. Just dig a nice sized root ball and transplant it in the fall. Water it well… even if you see some stress related leaf drop, chances are it will be just fine come spring. 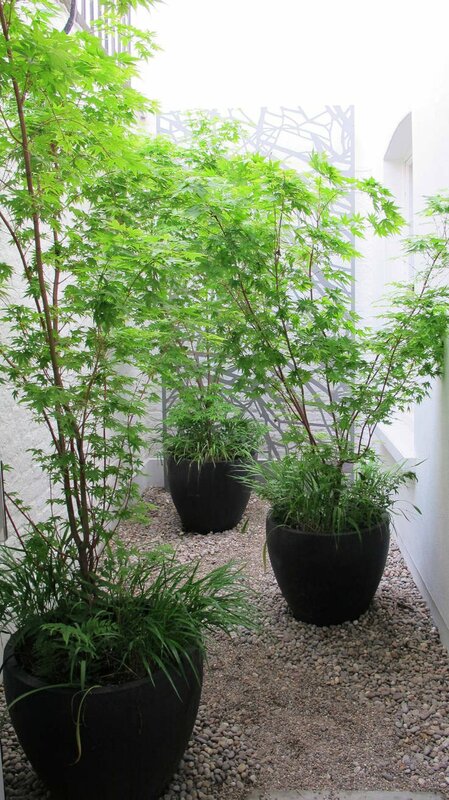 Most Japanese maples are perfect for containers, and can even be used for Bonsai. The most important thing is to make sure the roots stay snug in the container, but not packed tight. This requires root pruning every 2-4 years. Simply pull the tree from the container, and prune away the outer inch or two of matted roots. Then prune away any thick, woody roots. Thats it! Now replant into the same container, or one just slightly bigger if you want the tree to grow larger. Make sure to use a potting mix that is well draining, but retains moisture. “Coral Bark” Japanese Maple – This variety has lovely red bark that shows well in the winter months. Leaves are green with a sight reddish edge, then turn golden in the fall. To 20 feet. A collectors maple, this variety is showing up in local nurseries more and more. You can also order it online. This is our favorite Japanese maple variety! “Aoyagi” Japanese Maple – This maple variety has bright green leaves in summer, and yellow foliage in fall. This tree is a great complement to a Coral Bark Japanese Maple with its green winter bark. Photo by ‘Houzz‘. The “Golden Full Moon” Maple has gorgeous gold leaves that turn more red from the tips down in the fall. To 20 feet. “Orangeola” is a semi dwarf variety that has many different looks. Starting out green in spring, it changes to purple as summer goes on. In the fall, this amazing Japanese maple turns brilliant orange! 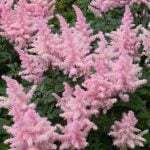 This one can be grown in the garden, or in a large container. To twelve feet tall. “Dissectum Atropurpureum” – This is the common red laceleaf Japanese maple variety that you see with fine foliage and a dwarf, cascading form. One of the best upright Japanese maple varieties is “Bloodgood”. Easy to find at nurseries, this variety grows to 20 feet with deep burgundy red, palmate leaves. This tree turns brilliant scarlet in the fall, with a deep red winter bark. A slightly smaller version at only 12 feet, is “Fireglow”. Our favorite Japanese maple for containers is “Bihou’, Starting out with green leaves, it turns vivid gold, orange and red in the fall. Photo by ‘Houzz‘. “Beni schichihenge” – This variety is a variegated leaf with cream, green and pink, and turns to an orange golden in the fall. To 8 feet, and tolerates hot temperatures better than most. Photo by ‘HGTV‘. “Osakazuki” Japanese Maple is a green leaf variety that grows to 20 feet. 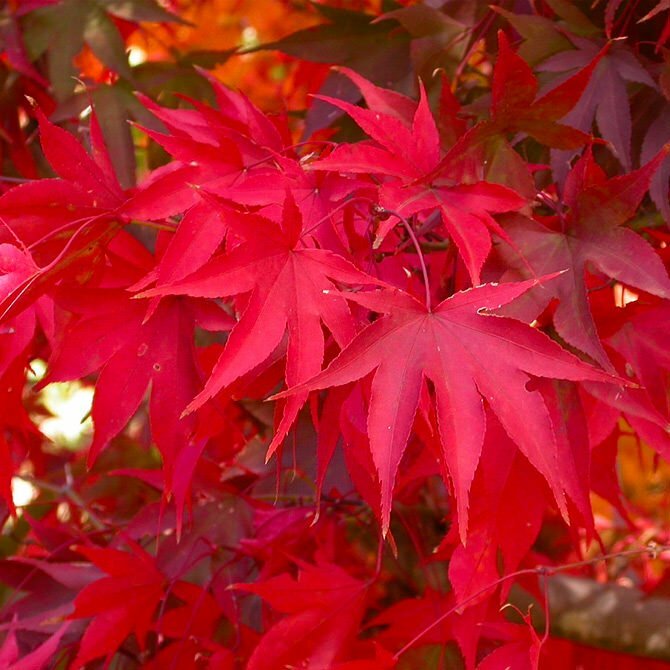 It handles more full sun than most Japanese maples and is resistant to scorch. It turns a vivid scarlet in the fall. One of the most gorgeous of all Japanese red maples. We hope you are as in love with Japanese maples now as we are! 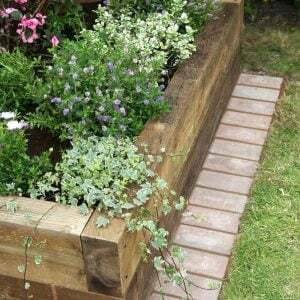 We think you will want to jump right on over to our posts on Classic DIY Walkway Projects and Privacy with Plants! 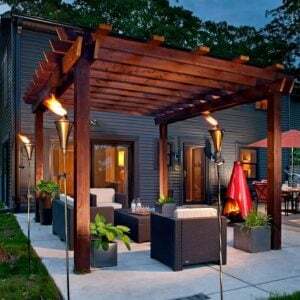 ← How To Build a Pergola, Perfectly! Many have asked about the green maple in your profile. This tree appears to be the same kind as you see in the courtyards of the homes on the battery in Charleston. They are medium size trees with tiny green leaves and tiny clusters of red berries. I have searched and searched for a pair on them for my yard. I have two beautiful trees that I have had in the same pots for a good five to six years. Should I I transplant them or can they hang for another year or so in the same pot? I love them and they are very happy and hearty. A slowing rate of growth over previous seasons. Difficulty wetting the trees soil. Reduced uptake of water in summer. Early leaf drop in autumn. Slight yellowing of foliage colour. Reduced gloss on the foliage. Root ball gradually rising in the pot. 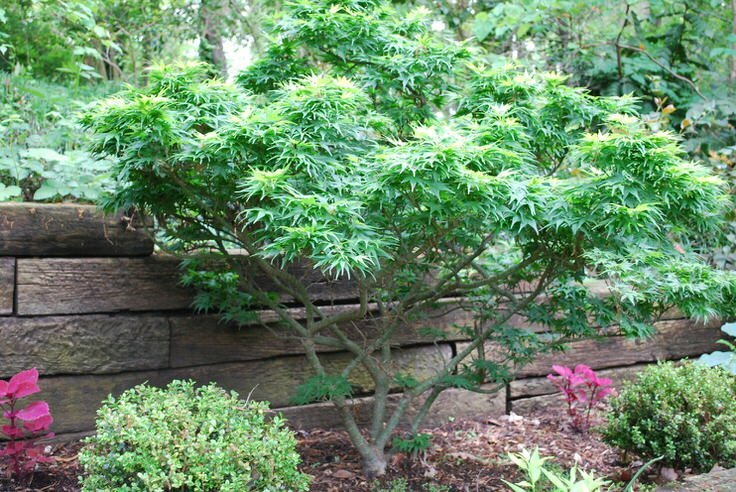 What type of Japanese maple is the one in the first picture of this article? 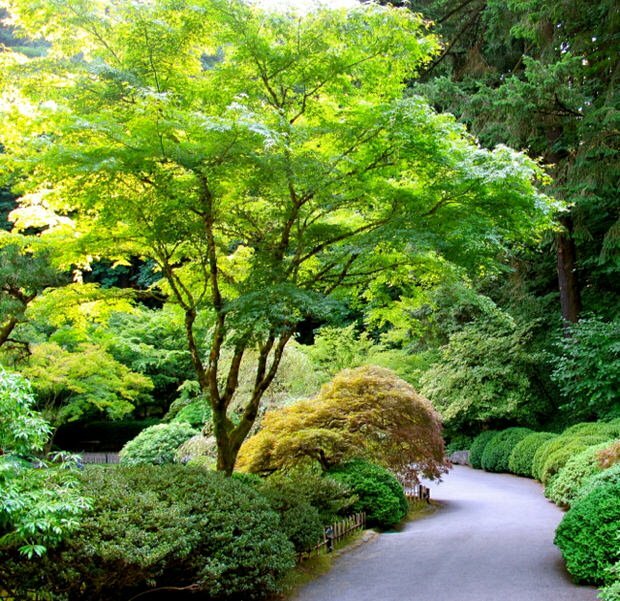 The photo comes from http://terrevertelandscape.com/blog/plant-spotlight-japanese-maples but they only list it as a green variety… Sorry we couldn’t help more! What variety of japenese maple is the large green japenese maple in the first picture ? I wish I knew for sure. That photo was taken by Terre Verte Design at the Portland Japanese Gardens. It’s honestly best to choose from a nursery in your area, they tend to do best because different varieties are tolerant of different conditions. We have a Japanese Maple (8-10 years old) that has been dying in sections. We started cutting away the dead branches and it seemed to be fine for a few months. Now a bigger section of the tree has died. We are going to remove because of losing most of the tree. Do you have any idea what could have caused this? (Disease, vitamin deficiency, gophers)??? And if we replant another Japanese Maple will it likely catch what this one had? I was given 3 Japanese maples as retirement gifts in 2011. This spring the biggest one (about 7 feet tall) started to bud, then stopped. All I have now are bare dead looking branches, but at the base of the tree new leaves came out. What’s up with this tree? Will is come back next year? It sounds like it was damaged… when you scrape the upper braces with a fingernail, is the wood underneath green? In our new rental home there is a red Japanese maple that had a few leaves when we moved in 6 months ago. But it looks like it has died. No leaves, no green when I “scrape” at the trunk. Is there any way to revive it? Can you tell me a good website that tells you how to grow Japanese maples from seed or seedlings? Do you know where you can purchase these seeds or seedlings? We recently moved into a home with a young Japanese maple (3-4 feet tall and abt the same wide). It was planted too close to the house, and I would love to move it to a spot where it can thrive. My question is simply; can I move the tree with out damaging it? Japanese maples are difficult to move, thought you may have some luck if you dig a root ball at least as large as the plant itself… It is a risky business though! Any of our readers had success moving a maple this large? Oh yes – I have moved older shrubs from one house to another, 100 miles away, and to different locations around the yard. They might have a tough year following the move (water, water, water) but I have never lost one. Just make sure to get a good root ball when lifting, and a little trim after the move won’t hurt either. My Japanese mayple tree used to turn red by fall; but for 2 years now it stopped.why & what can I do to help the tree change again. Thank You. How old is the tree? Is it getting enough sun? Mine doesn’t grow? Hasn’t died but also hasn’t gotten any bigger in a year? They are slow growers, as long as its not showing signs of stress, its likely fine! I have the red dwarf version of the japanese maple that has “weeping” branches. The branches have “weeped” onto the ground around the trunk. The tree is approx. 3.5 -4 feet tall. Is there anything wrong with trimming them so they don’t touch the ground? We have a dwarf Japanese maple that we left uncovered through the winter for the first time. It’s 3 years old and I pruned it late last fall. The rabbits seem to have enjoyed eating most of the outer bark off through the winter months, amid the snow. I thought it was dead for sure, but some leaves have started to regrow. Have to wonder if it will grow fully or I’m best to replace? Could there me permanent damage done if just the bark is gone? I planted a couple of Japanese maples this spring and now they have white spots on the leaves. What am I doing wrong? I purchased 3 Japanese Maples of which 1 has seemingly died. However, the trunk/stem is still green. Is there a way to revive it? I had the same problem after trying to relocate my small maple tree and accidentally cut the stem into half. I tried to revive it by putting the bottom half stem (with roots of course) in a rich soiled pot. Keep the soil damp. I watered mine everyday in summer month and every other day if it’s raining. I also added a fish solution to help the roots to stabilise. I was about to give up after about 2 months, but luckily with a bit of effort and patience it paid off. I was really thrilled to see in one afternoon, exactly 2 medium sized leaves shooting out of the bottom of the stem. It’s ALIVE!!!!!!! What is the name of the fish solution you applied to the tree ? Any fish emulsion would work!